author of How Come Boys Get to Keep Their Noses? Ranen: I love all the epigraphs you begin your new book with but especially the one by Grace Paley, which is such a great way to think about the art of her narrative: “Everyone, real or invented, deserves the open destiny of life.” Perhaps it is also a kind of prophecy of the radical forms of becoming that so many female Jewish artists seem to be so passionately exploring in our time in visual art, from Jill Solloway’s Transparent all the way through the seven wonderful figures you explore in How Come Boys Get to Keep Their Noses. In discovering the complicated ways these women explore the relation between self and ethnicity or collective identity, have you learned something about yourself? Does invention figure in your own life as an academic or otherwise? Tahneer: Oh, absolutely! I was a creative writing major in college, and for a long time I thought that the only way to pursue my dream of becoming a writer was to write novels. It took some time for me to realize that there’s creativity involved in all different kinds of writing and also that you don’t need to write novels to be a “real” writer. It can be scary to traverse a variety of less popular modes of expression, not only because of the fear that people might not take you seriously but also because you feel like you’re not mastering something, your focus is scattered. Grace Paley’s oeuvre, and her life story more generally, showed me that that was okay. She wrote stories, poems, essays, and speeches; she wrote what she needed to write, not what she thought she should write. Eventually, I chose an academic path but I’ve tried to continually commit myself to the subjects and projects that interest me. That openness has led me to comics, and women, and memoir, and the question of secular Jewishness. It has led me to write not just academic pieces but also book reviews and interviews and short personal essays. There’s a risk of exposure there—of jumping in before you’ve fully prepared yourself for a new idea or mode—but that vulnerability and playfulness is exciting to me. It’s like with teaching: the richest classes are the ones that end up going in unexpected directions. R: You recently wrote in Lilith about the paradox of writing a book about “a Jewish topic” when that might subsequently “pigeonhole” you exclusively as a “Jewish writer” even though you and your family have no formal synagogue affiliation and so on. That apprehension immediately resonated with me because when I moved not long ago to Louisville, I was told by quite a few people that in this town the notion of a “free-floating” Jew is an anomaly; every self-identified Jew is invariably identified with one of the five synagogues in the community. I continue to resist that pressure and was thus heartened by what you say about the fulfillment that scholarship seems to give you even where that formal sense of community falls short. Like you, I think that I write “Jewish books” to reclaim something that otherwise does not fully seem to accommodate who I am. In the Introduction, you describe the paradigm of “dis-affiliation” which you say is not a “negation” but rather a “complex negotiation.” It becomes your wonderful overarching premise in the ensuing chapters so that you achieve both disjuncture and coherence where each is required. Did the narratives of these seven very different artists deepen your own sense of ambivalence? Are you more confused now than when you began this project or did their works help you reach a greater sense of identity? And who among these, if any, do you feel closest with in terms of their framing of the community and selfhood? T: Your description of the impossibility of being a “free-floating” Jew in Louisville is interesting to me. My husband grew up in Syracuse, and we’ve often talked about the difference between growing up in a Jewish environment versus a place where Jews, and Jewish sensibilities, are, let’s say, a distinct minority. He has always felt a strong pride in his Jewish identity, and I often attribute that pride to his having had to explain the Jewish holidays and customs to friends in school. In a sense, he had to justify their existence. Even when I was in public school, I didn’t have to explain anything; everyone just understood what it meant to be Jewish, even if there was a clear variety of different kinds of Jews hanging around. I think my comfort in being “free-floating,” in dis-affiliating, largely stems from having grown up in an environment where I could generally take my Jewish identity, at least in its broadest sense, for granted. Writing this book, and especially talking to these various artists, did help me see that I wasn’t as exceptional as I had originally thought. I grew up going to an Orthodox Jewish day school but also hiding the fact that my family was not nearly as religious as those around us. At school, I wore skirts and prayed and basically fit in by mimicking the Jewish gestures exercised by those around me. At home, I wore jeans, read Judy Blume, and dreamed of being like the “regular” teens in 80s sitcoms. The disjunction wore me out. It was only years later that I found out how many of us, even in that school, were pretending. Talking to these cartoonists, and writing about them, I realized that although the details of our personal histories were all very different (for the most part), we all ended with a similar sense of ambivalence about our Jewish identities. R: This book also tells an important generational story; Kominsky Crumb seems such a vital antecedent for thinking about the others in your study. In your conversations with them and/or readings of their interviews and reflections, did you sense that she was equally crucial to their own sense of vocation? Aside from Vanessa Davis, were the others generally enthusiastic about her early work? Do some of them exhibit the same resistance to her work as those who championed Robert Crumb but disparaged her own visual caricature portrayals of the body? T: In Phoebe Gloeckner’s graphic narrative, The Diary of a Teenage Girl, Minnie, an aspiring cartoonist, writes a fan letter to Aline Kominsky. She references Kominsky Crumb, along with Robert Crumb, Diane Noomin, and Justin Green, as her favorite artists. The film version of the book really plays up the character’s connection to Kominsky Crumb in particular. In several scenes, Minnie has whole conversations with her hero and muse. I think for women cartoonists especially, Kominsky Crumb has been such an important figure. It’s not that men can’t mentor women, or be role models for them, but it’s so important, and particularly for young women starting out, to have other women to look up to. And it’s not just about seeing a woman in the vocation of cartoonist; I think it’s even more about seeing topics that are important to women explored on the page. It’s about watching women grapple with sexuality, and their relationships to their bodies, and their fears and desires about work and friendship and family and love. Most of the cartoonists I spoke with mentioned Kominsky Crumb as an important influence. It wasn’t just her work but also the Twisted Sisters anthology she put out with Diane Noomin. While on the one hand it can be exhausting and somewhat infuriating to be pigeonholed as a “woman” cartoonist, ripe mainly to be published in “women’s” anthologies, on the other hand we still need those spaces, even now. Without them, we might take for granted that certain sensibilities are often presumed to be central, fundamental: certain genres, certain ways of drawing, certain kinds of art and writing. In order to view the whole spectrum of possibility out there—to be open to all kinds of creation and invention—it’s important to create these safe spaces. Kominsky Crumb was a visionary in that way when it comes to the world of comics. 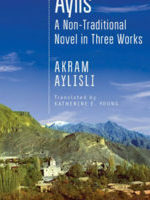 For instance, there is an early moment in Kushner’s Angels in America where an ancient rabbi expounds at the funeral for a deceased matriarch: “She was…not a person but a whole kind of person, the ones who crossed the ocean, who brought with us to America the villages of Russia and Lithuania—and how we struggled, and how we fought, for the family, for the Jewish home, so that you would not grow up here, in this strange place, in the melting pot where nothing melted. Descendants of this immigrant woman, you do not grow up in America, you and your children and their children with the goyische names. You do not live in America. No such place exists. Your clay is the clay of some Litvak Shtetl, your air the air of the steppes—because she carried the old world on her back across the ocean, in a boat, and she put it down on Grand Concourse Avenue, or in Flatbush, and she worked that earth into your bones, and you pass it to your children, this ancient, ancient culture and home.” I like the fascinating shift in tenses and the promising sense of interpenetrating temporalities. But in the subsequent drama, the point seems utterly lost on all the other characters. Do you think this is a preoccupation of Jewish women artists in recent years or does something analogous happen in the works of male artists (graphic and otherwise)? T: This is a really interesting question. Certainly, I didn’t intend to suggest in the book that it is only women (and only Jewish women, at that) who are thinking about and exploring identity in these interesting, formally experimental ways. The model I present is really meant as a starting point, a kind of suggestive approach. Maybe even a prelude. And yet, I can’t help but think that there may be something of a more direct or easy access to particular kinds of truths for artists who have been marginalized, or felt themselves as outsiders in some deep way. Soloway’s show powerfully does what I found Finck’s work to do: it meaningfully brings the past into the present, without burying the present or depriving it of its energy, its, well, currency. Similarly, the cartoonist Leela Corman has this incredible piece called “Yahrzeit,” published online in Tablet in 2013, in which she connects her grandfather’s experiences in World War II, his losses, with her experience of mourning her first child. That piece so expertly bridges the weight of both events, reflecting how those losses never really have an ending point. They just continue, on and on, merging with future losses. As the granddaughter of a Holocaust survivor, living in a world where we will soon lose access to all our live witnesses of this event, this kind of temporal inventiveness is not just compelling to me; it’s urgent. R: You often seemed to develop very illuminating personal conversations or email exchanges between your subjects. Did you find that most of these artists were eager to discuss their works or were some reticent about speaking on behalf of their work and/or revisiting sometimes difficult or even traumatic pasts for any reason? T: To me, one of the most fun aspects of writing about artists who are still living is that I get to talk to them. It’s also, as you might imagine, incredibly intimidating. I want to be honest and critically astute about the work, as much as possible, but many of these artists have become people I consider friends. I try to write, as much as possible, without the artist in mind as an audience. Once I have an argument set down on paper, that’s generally when I start formulating questions for the creator. These generally fall into two categories: questions I have that I think will help illuminate what I’ve already written about, and questions I have that I think might potentially transform or even weaken my points. It’s often a surprise, in the end, which leads to which. All of the artists that I’ve approached have been generous with their time and eager to discuss their work. I think it can be useful to have an outsider to talk to; it can help the artist see what’s coming through in her works. I’m very careful to speak about the characters in these autobiographical works as characters, as personas. I think this also makes it a bit easier for the artists to open up. I’m not, after all, talking exactly about them, even if I am talking about their lives. R: I love the artful ways you quite often pause to place these works in compelling conversation with more traditional Jewish memoirs as well as novels. In your ideal course would you adopt a hybrid approach and include both narrative forms or do you think it is important to focus on visual narratives exclusively? Have you taught an entire course on graphic narratives? T: This is something I think about a lot, and I hope to engage with more closely in my next project. I named and explored some Jewish literature in the introduction of the book in order to situate the comics that I wrote about as part of this broader literary genealogy. I think it’s important to recognize connections that go beyond particular genres and mediums. This, again, helps us broaden the ways we approach various so-called canons. In terms of teaching, I think the approach depends a lot on the objective of the course. A few years back, I taught an upper-level English class at Rutgers that was focused on both fictional and non-fictional contemporary American comics. I tried to offer students a glimpse of all that was out there, but of course I had to make many unscientific choices in terms of readings in order to maintain a manageable course load. What was most valuable for students who took that course—to my mind, at least—was that they learned about the formal possibilities of the medium, and were able to think broadly of how and why we categorize different forms of communication, of art. In my current job at Marymount, I mostly teach writing courses, so my course objectives are very different. But I do often end up pairing a work of comics alongside a work of literary prose. This semester, for example, I am teaching a writing course called “Writing the Visible,” and one of the central questions we’re engaging with is what it means to read images as opposed to words, and vice versa. We’ve started off by reading Lucy Grealy’s memoir, Autobiography of a Face, and students have had multiple opportunities to engage with the text visually, from writing about the different covers of the book to thinking about what it means to create a portrait of a person, whether visual or verbal. Later in the course we’re going to be reading Alison Bechdel’s Fun Home, and I think the juxtaposition of those two kinds of texts will trigger some compelling discussions about memory, images, and autobiography. Most crucially, I think it’s important not to turn such conversations into basic comparisons; we’re not reading comics versus prose, but comics alongside prose. I’ve been playing with the term “expansive reading” to describe this kind of interaction. T: This certainly wasn’t always easy for me to do, especially as someone trained in reading and writing about literary prose. I think my “aha!” moment came some years back, when I was on an academic panel with several people discussing comics. One of the panelists had a background in art history. Hearing her talk about comics using the visuals as a starting point, rather than an accessory, made me much more attuned to how I might better engage with such texts. I actually went home and order a bunch of art history readers, just to get a better sense of some of the central ideas and questions that visual critics think about when approaching texts. It was not unfamiliar, but the emphasis hadn’t always been there for me. I will say, I love the added challenge of writing about image-texts. While I grew up as someone who loved immersing myself in prose—we’re talking long novel after long novel—and while I still largely think of myself as a lover of prose, I have a lot more fun writing about comics and other visual texts (like memoirs that incorporate photography) than I do about texts composed only in prose. It feels like there’s more to negotiate, like there’s more space for the unpredictable. Ranen Omer-Sherman is JHFE Endowed Chair in Judaic Studies at the University of Louisville and the author of three books and the co-editor of two, including Diaspora and Zionism in Jewish American Literature, Israel in Exile: Jewish Writing and the Desert, Imagining the Kibbutz: Visions of Utopia in Literature & Film, The Jewish Graphic Novel: Critical Approaches, and Narratives of Dissent: War in Contemporary Israeli Arts and Culture. He has also contributed numerous journal essays and book chapters to major publications. Tahneer Oksman is the Graphic Narrative Reviews Editor for Cleaver Magazine. She is an Assistant Professor of Writing and Director of the Academic Writing Program at Marymount Manhattan College, and she recently published her first book, “How Come Boys Get to Keep Their Noses?”: Women and Jewish American Identity in Contemporary Graphic Memoirs. Drawing of Tahneer Oksman by Liana Finck.